Both the UK and the U.S. Navies are cooperating with scientists to share climate data collected in the Arctic. 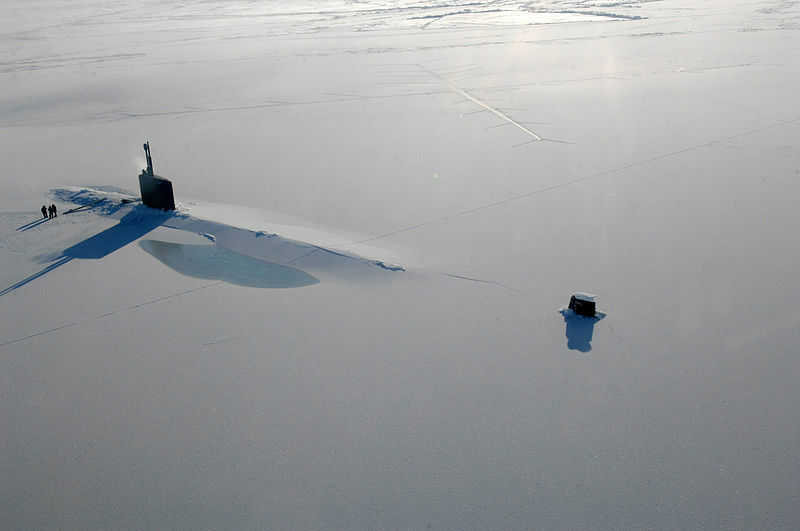 Naval submarines have spent the better part of the last few decades trawling the depths of the cold waters. With a changing climate, both physical and political, and melting ice in the Arctic, the data collected during such missions is now an invaluable tool to those trying to get a better, more accurate understanding of what exactly is happening up there. Why it’s good for navies and governments: Access to more and better Arctic data helps navies, and their respective governments and intergovernmental institutions, in terms of managing security in the region. Summer ice melt opens up the potential for geopolitical competition among the numerous countries active in the Arctic, as land and resource claims potentially shift and expand. Being able to access and interpret accurate data provides an important asset to the countries, and the inter-governmental institutions, who operate there. For example, the structure, mandate and effectiveness of institutions that govern the Arctic, like the Arctic Council (which includes eight countries and a handful of observers), are dependent upon good information about the movement of ice. Lastly, giving a broader pool of scientists the ability to access and assess the data can help navies make sense of how changing ocean temperatures and ice will affect their own operations, ranging from search and rescue (SAR), to combating illegal fishing, and anticipating the movements of other sea-faring nations. The changing future of the Arctic and information-sharing: As temperatures increase, and ice melts, the geopolitics of the region will shift. While there are some concerns about the potential for conflict in this new space, there are also many areas of current and potential cooperation between Arctic-faring nations, whether its joint security and humanitarian operations or information-sharing on ocean and ice draft data. These collaborative efforts between the US, UK Navies and their respective national scientific communities are a harbinger of hope for the Arctic future, and should be supported and maintained. And beyond the Arctic, this information coming to light will help us make better sense of the impacts of global climate change and the security risks that follow, and to create more responsible policies and solutions for mitigating those risks. By Francesco Femia & Caitlin Werrell in Arctic, climate change, navies on February 23, 2012 .